Welcome to Input Technology, Inc.
With our centralized Midwest location and our range of specialized data, print and mail solutions, let ITi prove why we're the perfect fit for your personalized print and marketing projects. Consolidating your project requirements to one expert provider can save you time and lower your costs. ITi started as a data entry and processing company in 1981. We now provide in-house printing and direct mail fulfillment services for a wide range of clientele. 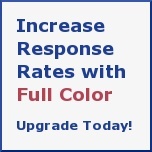 Our sales personnel and coordinators understand the critical nature of your mailing projects. We can expertly analyze your project requirements and provide free consultations. We have multiple hi-speed intelligent inserting systems. We also support ink jetting, stamping, and tabbing. 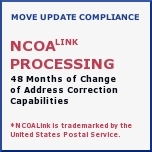 Our data services department provides mail list hygiene, move update processing (NCOA), CASS/DPV processing, and presort qualification. High-volume sheet-fed laser and inkjet imaging provides the flexibility necessary to meet the precise needs of your project. In addition to our laser and inkjet capabilities, ITi also provides full color, digital printing, suitable for a variety of short run applications. We fully incorporate personalization and can print with variable data and/or images. 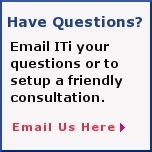 ITi can also finish printed material when necessary by trimming, cutting, and/or folding to exact specifications. Input Technology provides keyboard data entry for form processing, surveys, business reply forms, and any other documents that require keyboard entry. We employ experienced data entry operators and utilize double key verification to ensure the integrity of clients' data. We have our own courier that picks up and delivers within a 150 miles of our St. Louis facility. Input Technology supports OMR technology for complex multi page invoices, statements, and bills. We support Magnetic Ink Character Recognition also known as MICR printing. We can meter mail to account for the variable weights of multi page documents and ensure maximum postage savings. With a background in data entry, data processing, and database management our programming department handles complex data from a variety of proprietary and licensed systems.